Recently, I started thinking about the remaining time left in the second season of SyFy’s original program Dominion. With only one more episode left, it made me ponder: Who would I like to see come back from earlier episodes or last season? So, I thought I’d ask around and see what other viewers thought. There are several characters that people consistently want to see return. 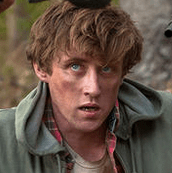 Ethan (Johnny Howard), Jeep (Langley Kirkwood), Julian (Simon Merrells), Laurel (Olivia Mace), Pete (Luke Tyler), Gates (Nic Bishop), and Uriel (Katrine de Candole) all were named. Let’s start with Ethan. It was evident that I was not the only person crushed to learn that Ethan (Jonathan Howard) wasn’t returning for Dominion Season 2 (S2). @pambca says, “He’s excellent comic relief and we don’t know what happened to him between S1 and S2. Did he join the resistance in Vega? Did he become an 8-ball?” And, @jotrostle adds, “Because he just disappeared, without explanation. He was comic relief and quite nice to look at. Always good to have someone not in the center of everything and just “normal” as a conduit for the audience. Plus, I’m curious about what happened to him and hope he has survived.” Ethan was definitely a light touch when things turned dark. Comic relief characters can make a huge difference to the show. Jeep was missed early on during the FIRST season of Dominion , abrupt departure and all. At least we got a satisfying flashback. However, most of us were left wanting to know more about this critical character. @JustTanya84 says, “I want to know more about Alex’s childhood and who is his biological father. Perhaps this will explain why Alex needs to (go to) Lucifer.” Jeep is a way to further explore Alex’s background, but I liked how we got insight into the torture of carrying markings he couldn’t read. It made me think about how frustrated Michael must have been to be unable to read the markings. Julian, ah, our resident BAAAAD boy Dyad. Is he really gone? I felt like I couldn’t get enough of him. I know some people didn’t like Julian because of the consequences of his actions, but there’s no question that Simon Merrells infused that character with passion. I think @BloodyHellKaren speaks for us all, “He had swagger, a history with the twin brothers, a box with an inner glow, and a mystery. 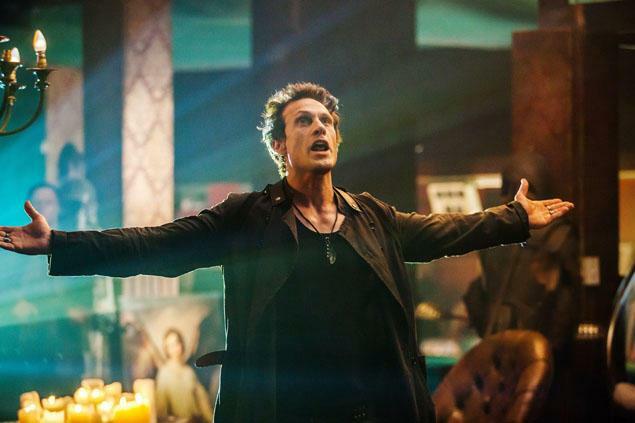 Who made him a Dyad? And how did he get the amphorae? I’m betting it was the Morning Star, in return for Julian’s loyalty.” We have questions that need answering! 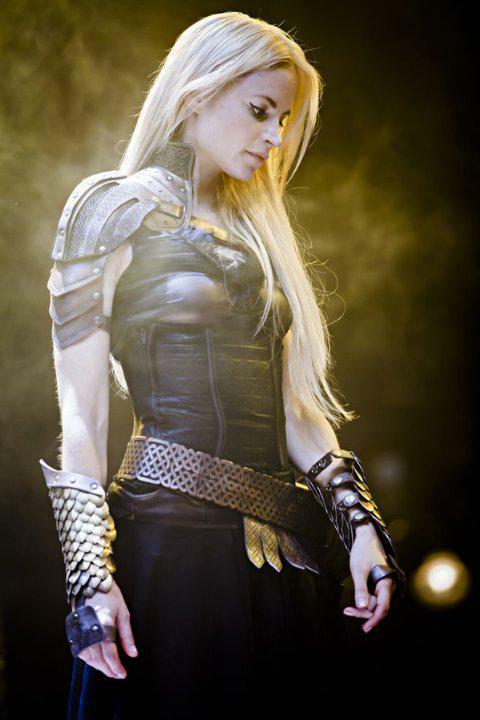 Laurel was an early new character in Dominion S2. She was intriguing because it was hard to decipher her motivations. We wondered was she good? Or, evil? And, did she sleep with Michael? I’m hoping for a return to Laurel’s character and to Mallory. @Kathy_Porter says, “She’s charming, smart and enigmatic.” And, a shy responder says, “There is still a lot of story to tell in Mallory and she’s their leader.” I wholeheartedly agree. Sadly, unless through a flashback, the door is not open for Gates Foley to return from his sacrifice. It clearly hurt Vega to have its resident brilliant engineer killed. @timercsr says, “He’s (Nic Bishop) a great actor & added another interesting dimension & possibilities to the show. Gave Alex something to think about, and helped guide/stabilize Claire. Ended any possible romantic involvement much too soon. Could use his knowledge & skill when setting up a new community, as it looks like Vega residents are going to have to do.” I believe I understood why Gates had to go. Perhaps having two triangles would be too complicated (Gates/Claire/Alex and Noma/Alex/Claire), as well as clear the way for Alex to move automatically to Noma too easily. But, I really liked Gates and Claire together. And, finally, Uriel. She was a very popular choice to return. When Angel Janeck (Ruben Engles) announced that she was dead and they had found her body, I thought two things. Either he was lying, or she was only sort of dead. As she is an Archangel, just having a mountain fall on her didn’t seem enough to kill her, unless it involved Empyrean Steel. @twisterdeva wanted Uriel to return, “Because there is so much story left to tell and the relationship between the Archangels is so intense and entertaining.” A shy responder says, “She was always up to something and her story with Arika was not done.” And @godperfectangel says, “I would love for Uriel to come back to see if she would be standing with Gabriel or would she be standing by Michael’s side?” We clearly had unresolved issues with Uriel. My hope is that if Dominion Season 3 is in the cards, we get a return of at least some of these non-regular characters. 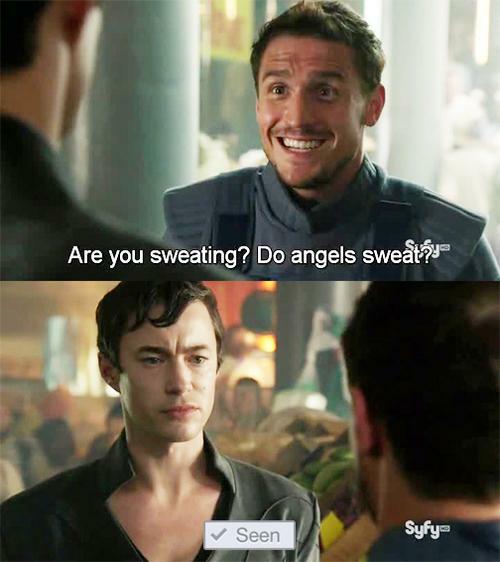 Dominion did a fantastic job of making even secondary characters dear to the viewer. That’s a mark of a quality TV show.